Articles: Introduction for INTELLECT WELLNESS CHEMIST PVT. LTD. 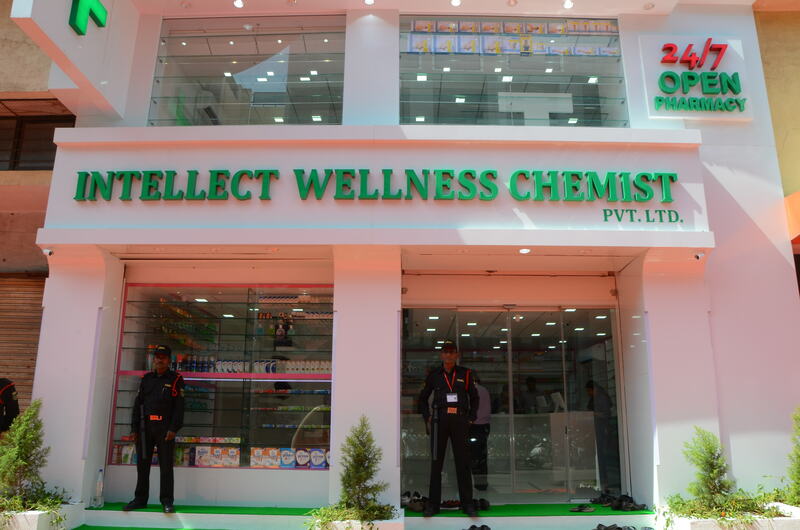 Customer comes "FIRST" & "Patient" service is to the "GOD" is the way of thinking of Dr. Murlidhar Wani,Founder Director of Intellect Wellness Chemist Pvt. Ltd.
Dr. Wani wanted to do something revolutionary in healthcare & wellness for the benefit & convenience for society of large, because in current scenario also in our country the availability of Medicine & Healthcare essential round the clock is very rare commodity & in case of Emergency it becomes scarily difficult for a common man. To address this core issue of availability of Healthcare essential & lifesaving medicines 24 Hours, Seven days a Week 365 days to everyone Dr. Murlidhar Wani has initiated this nobel venture "Intellect Wellness Chemist" under the support of "Intellect Dnyan & Aadhar Foundation"
Your "TRUST" is Our "EARNINGS"
Your "SATISFACTION" is Our "REWARD"
Your "SUPPORT" is Our "MOTIVATION"